Connections matter, relationships matter, and life together is real, relevant, and relational. As we continue live out the mission and vision of St. John’s, our life of discipleship is dependent on connecting with Life Groups. God designed us to be together in relationships, and we know connections make us stronger, give us purpose, and help us grow. St. John’s is excited to host our first ever Connections Fair, providing an opportunity to visit 36 booths representing different St. John’s Life Groups. Each booth will provide information, answer questions, and provide an opportunity to get connected in a Life Group. There is a Life Group opportunity for all ages. Below is a list of the Life Groups that will be represented at the Connections Fair. Plan out the morning to make sure you can connect with all the Life Groups that you are interested in. There is also an opportunity to learn how to start a life group. Join us as we Connect, Care, and Share in Christ. As we gather and share in the grace of God, consider the impacts of your connections as God’s people and the world He sends us into. Consider His word in Galatians 2 and John 5, and connect the dots in how God has called you to Bring Christ’s Life into YOUR relationships. Technology Upgrades to Help YOU!! 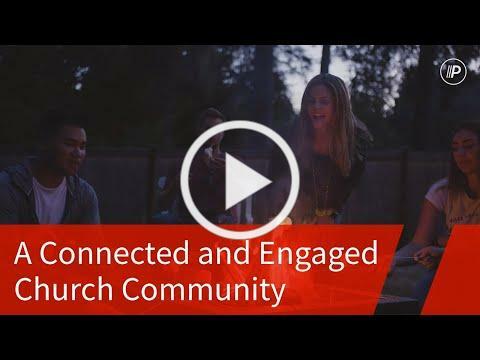 In November, we invested in upgrading our communication by adding the St. John’s App to an already robust Communication Ministry with existing platforms like the Connections E-Newsletter, website, Elementary & Middle School Sycamore System, and Worship Info. Guide & Pre-service Slides. Many of you have embraced the St. John’s App with great fanfare. Did you know that we also introduced a new electronic giving platform which can be accessed via the St. John’s App and our website? The reason for this upgrade? Simply put, the leadership of St. John’s wants to help you connect and make giving as easy as possible. Let’s be hones. Most of our financial transactions are already done via electronic banking: mortgage, utility bills, cell phone bill, gym membership, tuition payments, etc. Why then, do we not do this with our first fruit giving? As good stewards of all that the Lord has given us, we should give to the Lord in the same meaningful way we do when paying our bills. Click here to see how this simple change in your generosity will have a profound impact on your faith journey. A lot of our unfaithfulness in stewardship comes from fear. How would our generosity change if we trusted the Lord more? for questions or more information.